Most bloggers have thumbnail images or carousal sliders on their homepages.The images used on these can impact the bounce rate so if you are looking for such images then there is no easy way to do it right from WordPress Editor but now you can use CompFight – A Flickr Search Tool.CompFight also has a WordPress plugin which brings to WordPress a very useful feature of searching for Creative Commons and Inserting Creative Commons images right into the WP Post Editor. 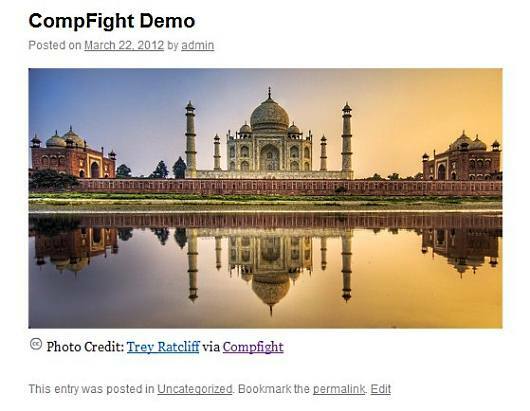 CompFight can be configured under Settings –> CompFight for the results it finds.The image sizes to be searched for the three sizes Small, Medium and Large.The License of the images can be set to either Creative Commons or Commercial.The important one Safe Search – This is for eliminating inappropriate for the search results. 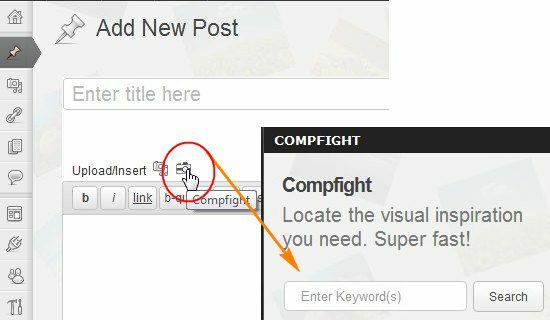 Next Open Add New Post, you should now find a new icon beside Upload Media ( A Camera Icon ) which is the CompFight Icon, as seen in the image below.Click the icon to launch the Search interface where the keyword on which you are looking for images needs to be entered and the search results are display with 3 alphabets S, M and L indicating the sizes Small, Medium and Large. 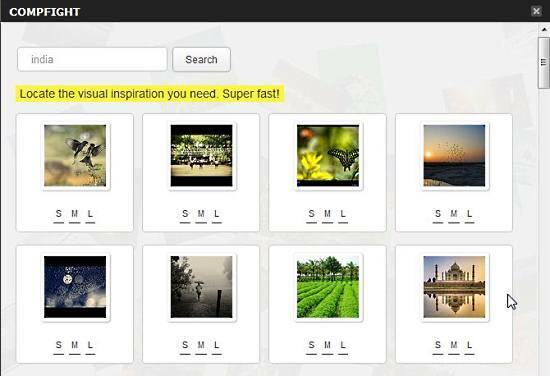 Click on the alphabet of your choice and the image would be inserted into the post with proper credit.Here’s the example of it. This plugin is a gift for all those blogger who look for CC Photo to have in their blog posts without much hassle.Do share your experience about this plugin with your comments. This is a great tool. Thanks for the detailed tutorial and video. Can’t wait to try this plugin.